of Charmouth and Seatown to the east. We rented a car at Victoria Station and drove out to Dorset with no problems. 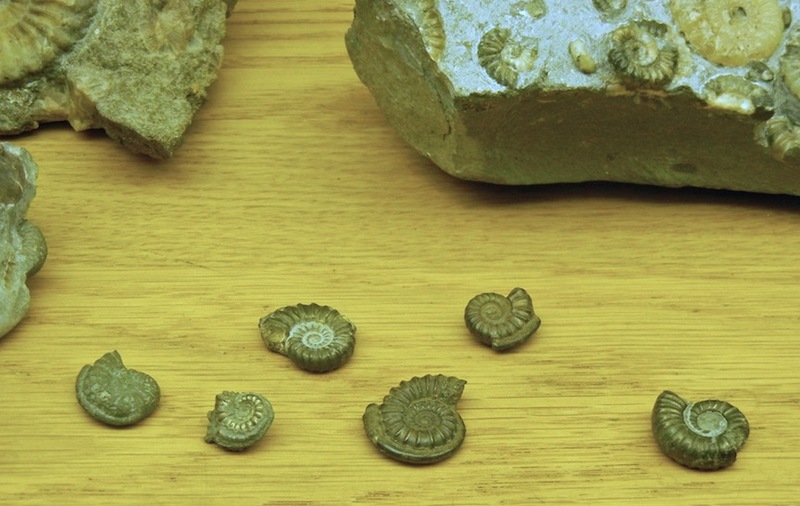 That time, we spent a few hours fossil hunting both east and west of Charmouth. 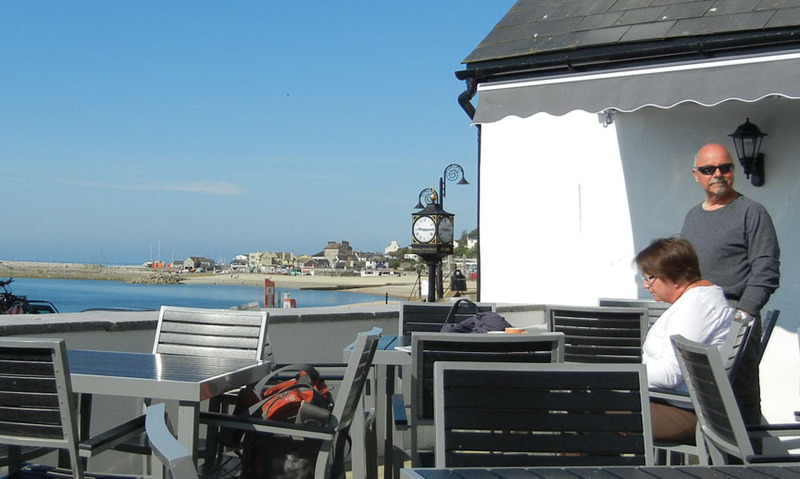 We returned to Lyme Regis in late May of 2012 after spending four days on the North Yorkshire coast. before heading to Somerset to visit our friends. 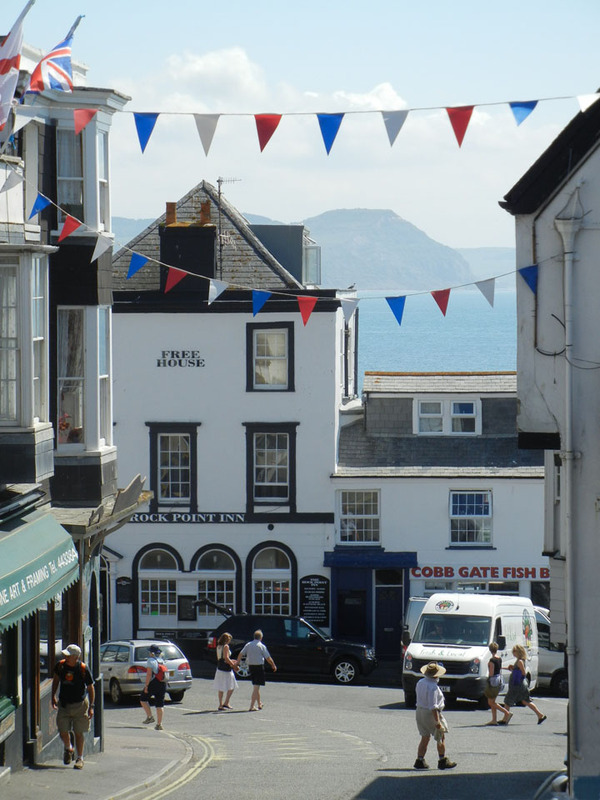 While here, we hunted out of Charmouth in the Black Ven and to the west from Seatown under the Golden Cap. A typical day on the Jurassic Coast looking west towards the Cobb. The waterfront is quite nice with shops, hotels and old homes. The peak in the distance is Stonebarrow Hill. 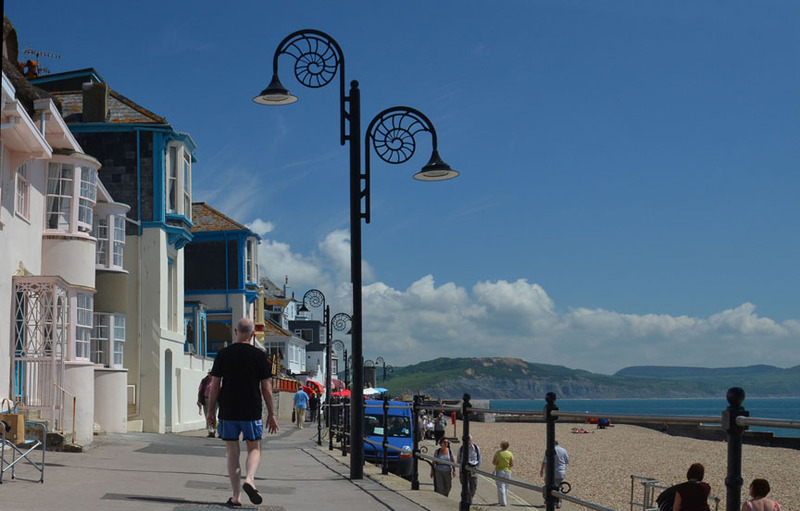 The ammonite lamp posts are a nice touch. 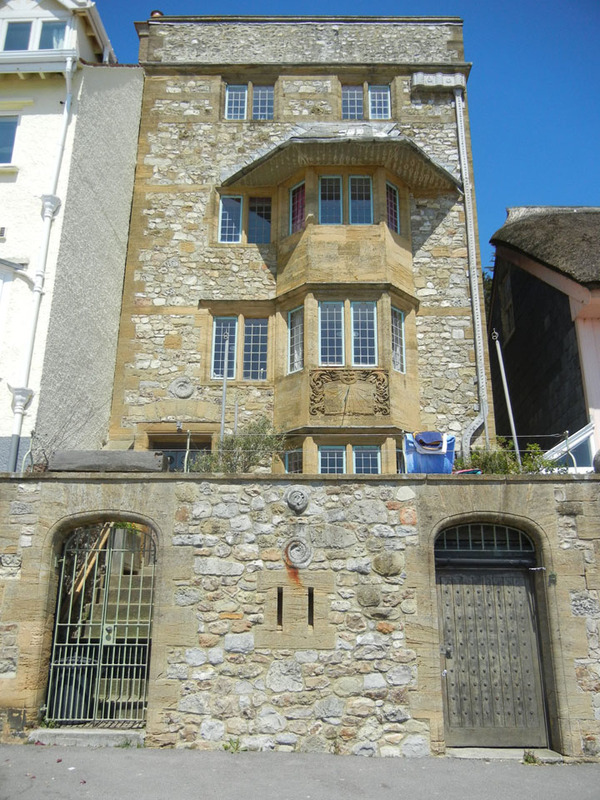 This beautiful stone building is decorated with a sundial and ammonites. 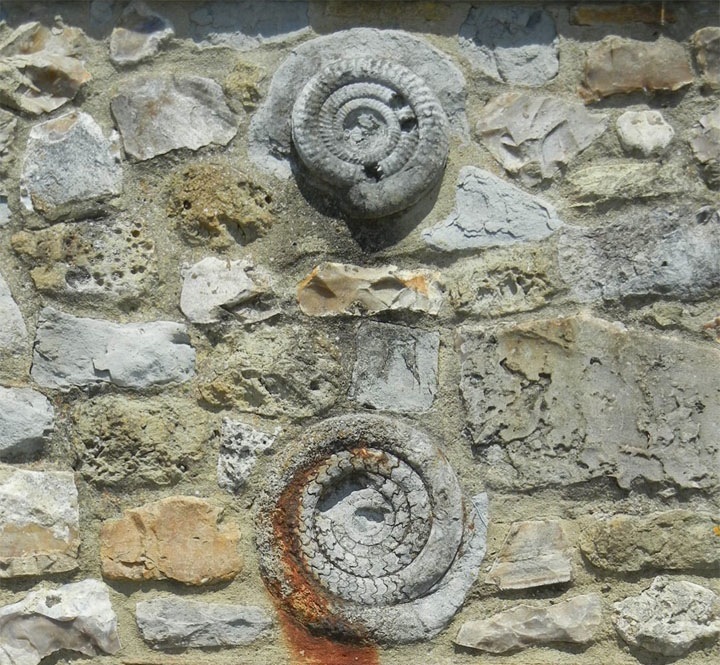 Detail of the some of the ammonites. Church street runs up the hill in town. 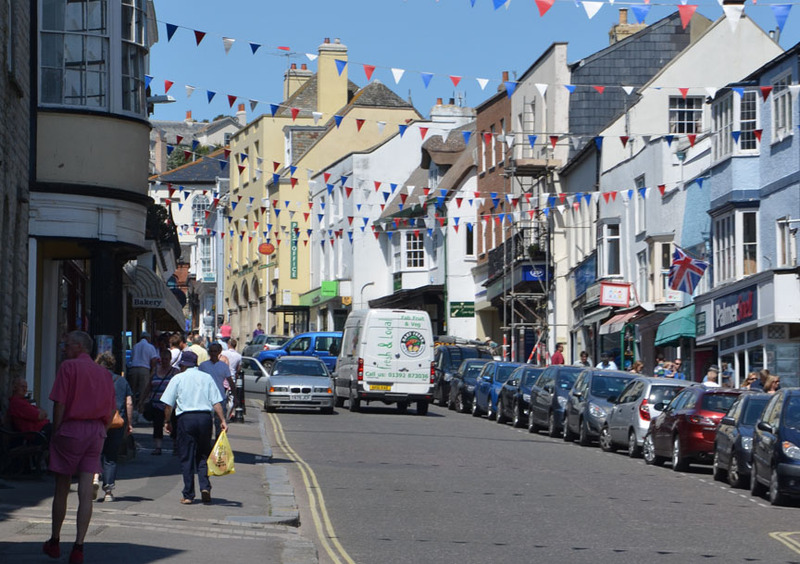 The main shopping area is decorated for the Queen's Diamond Jubilee! 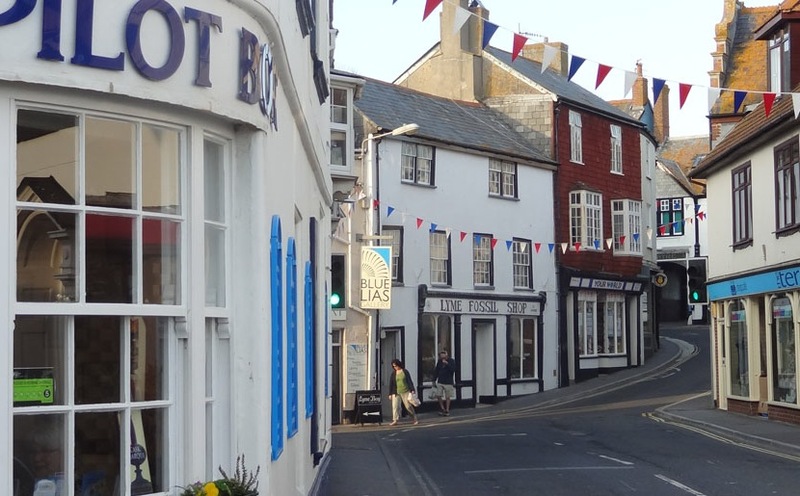 There is a small museum in town and at least two fossil shops. The staff of both shops were very open and friendly. One guy showed us these small ammonites which have parasitic tube worms attached. the highest point on the south coast. The "penthouse suite" was nice but the stairs were a bit steep! and Charmouth. 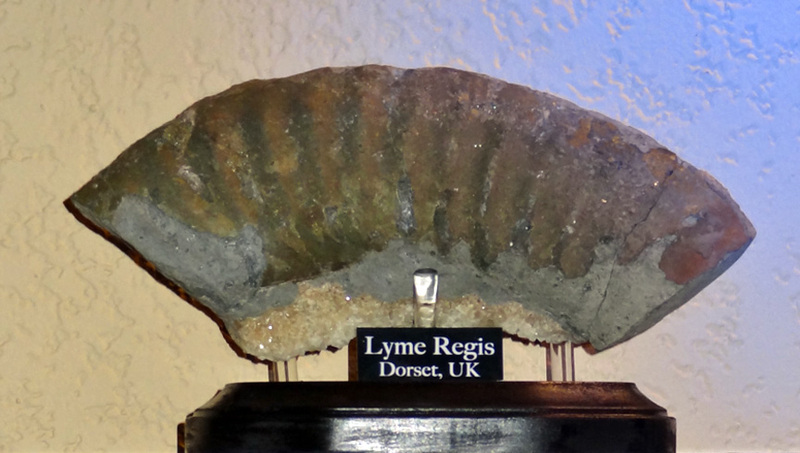 The results of our other fossiling here are found under the Charmouth and Seatown sites.